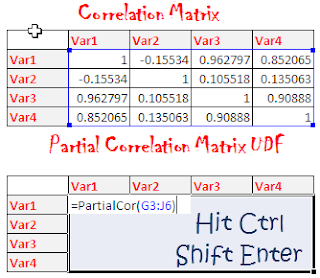 It is simply defined as the measure of the relationship between two or more variables while controlling for the effects of one or more additional variables. For example, study of partial correlation between price and demand would involve studying the relationship between price and demand excluding the effect of price of related goods, disposable income, taste and preference etc. In this case, firstvariable_range is A2:A8. Download the workbook used in this example and play around with the formula to test your understanding. 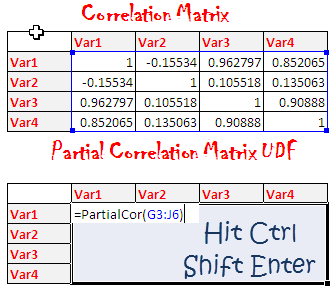 0 Response to "Calculating Partial Correlation Matrix with Excel VBA"